Euro continues consolidating before starting moving upwards again. 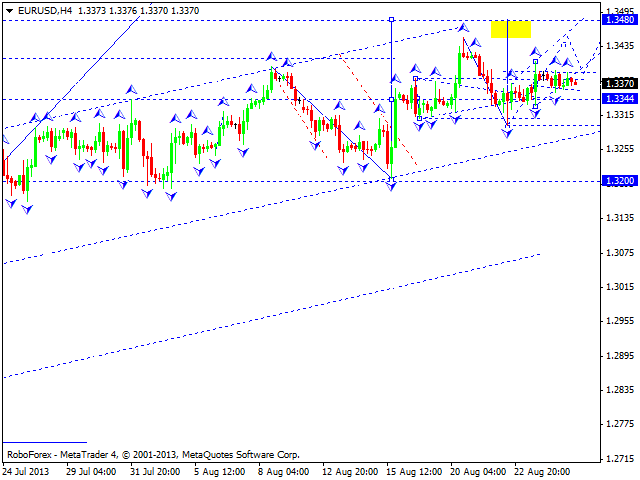 We think, today the price may leave this consolidation channel upwards and reach the level of 1.3480. Later, in our opinion, the pair may form a descending correction towards the level of 1.3344 or even 1.3200, and then start a new ascending movement to reach the target at 1.3600. Pound is still consolidating inside a narrow trading range. 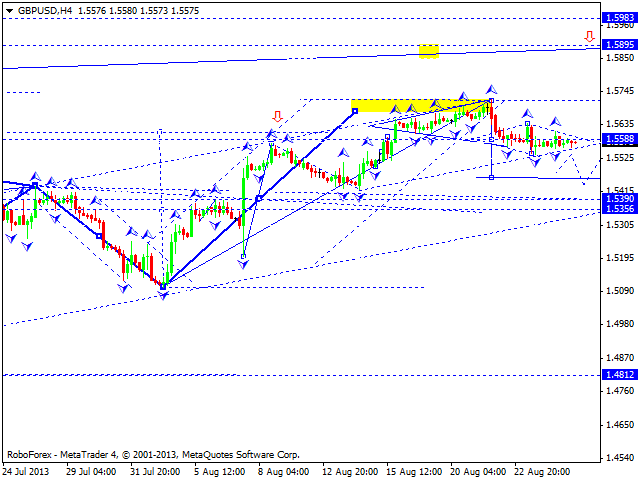 We think, today the price may leave this range downwards to reach the level of 1.5460 and then start growing up. An alternative scenario implies that the pair may continue falling down towards the level of 1.5400 and then move upwards to reach the target at 1.5890. Franc continues moving inside a consolidation channel. 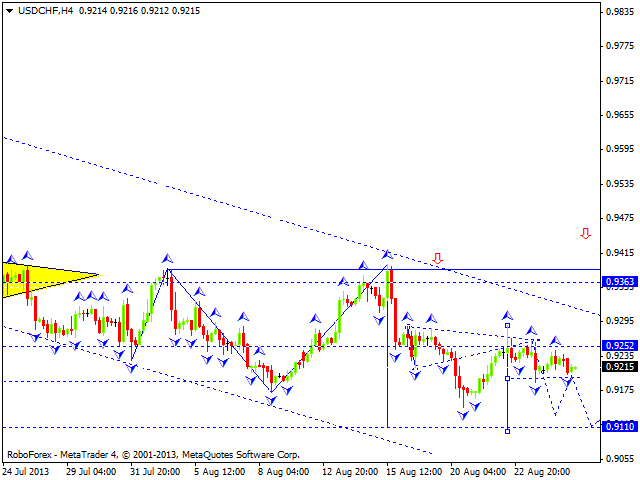 We think, today the price may leave this channel downwards and continue falling down; the target is at 0.9110. Later, in our opinion, the pair may return to the level of 0.9250 and then start a new descending movement. The USD/JPY currency pair is forming the second descending impulse. 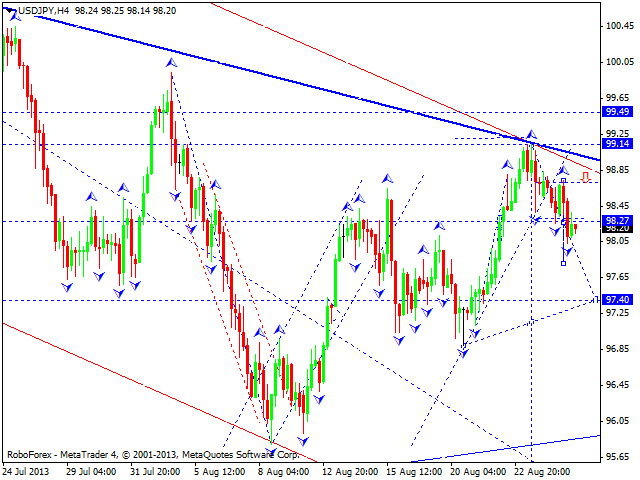 The target of its first structure is at 97.40. Later, in our opinion, the price may return to the level of 98.30 and then continue falling down to break the level of 95.00. 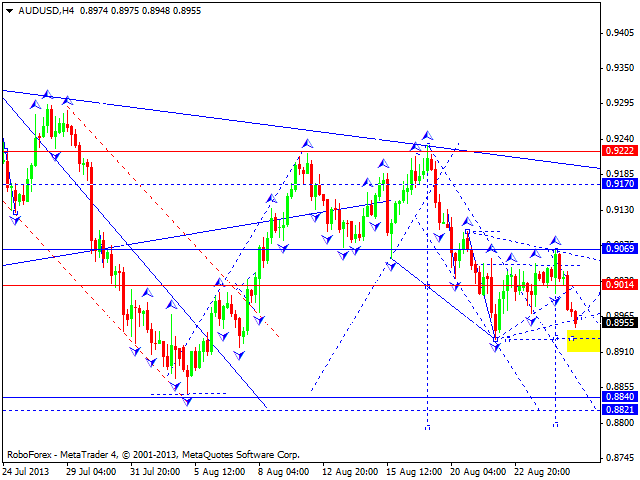 Australian Dollar continues moving downwards according to our main scenario; the target is at the level of 0.8800. We think, today the price may consolidate for a while at the current levels and form triangle pattern. Later, in our opinion, the pair may beak the lower border and continue falling down. 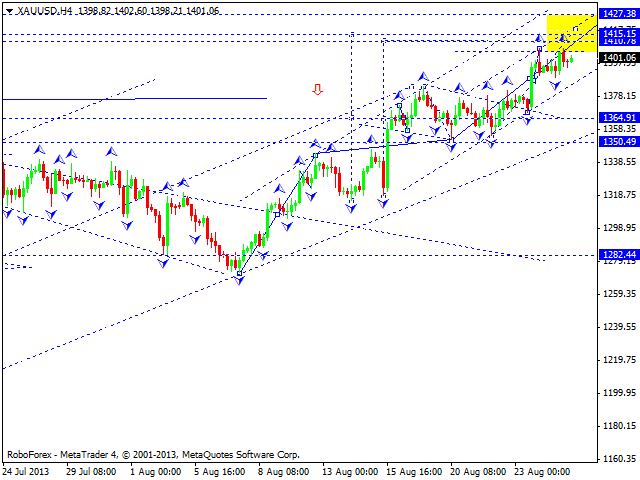 Gold is still moving near its maximums; the market is extending the fifth wave. We think, today the price may reach the level of 1415 and the start a descending correction towards the level of 1280. The first target of this descending movement is at 1360.